"High-school girls, high-school girls, all for me, pretty high-school girls!" The above info came from Kelly, and was edited by yours truly (contact me). The image came from Storm Dewleaf's Photobucket. 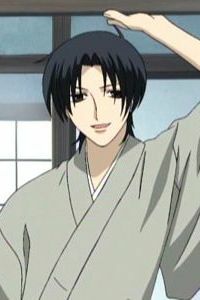 Shigure is the older cousin of Yuki and Kyo. Despite the lecherous way he acts, he can actually be kind and sometimes selfless. 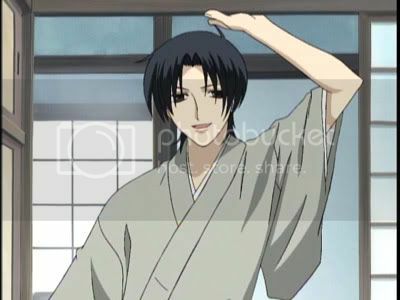 He is the one who invited Tohru to live in his house. 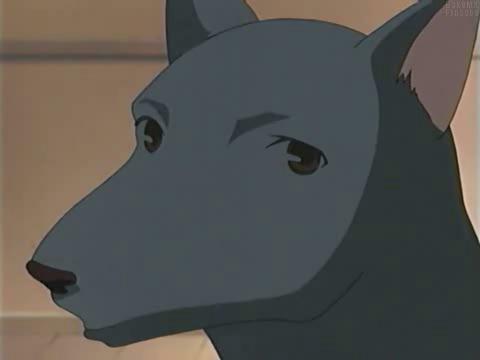 Shigure is just an all around good and funny guy... that transforms into a dog when hugged by the opposite gender. Shigure has the zodiac form of a dog. 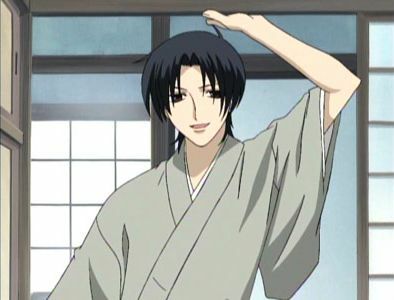 He and Tohru met when Tohru was on her way to school and stopped to look at some figurines of the zodiac animals on his porch, and he was the one who invited Tohru to live with him, Yuki, and before too long, Kyo. Though humorous and kind, he can still be quite the lech. He is also a novelist, and one of his favorite hobbies is putting his editor through near-torment with his jokes and pranks, which often focus on hiding in some way when a deadline rolls around. Shigure is called Sensei by Haru in the manga. It is part of a bargin he has with him. The above description came from Kelly, and was edited by yours truly (contact me).